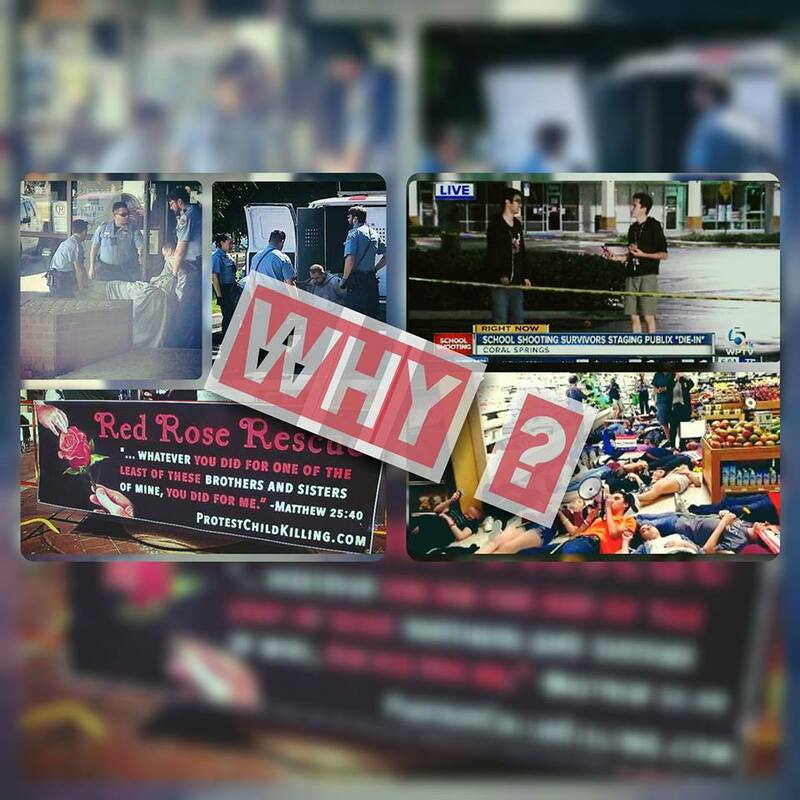 Albuquerque, NM – A small BUT aggressive network of organizations have criticized, demonized and even ostracized participants of Red Rose Rescue outreaches nationwide, even those who organized and participated in a Red Rose Rescue here in Albuquerque, New Mexico where no one was even arrested 😳 . Those in the pro-life movement who publicly oppose these peaceful efforts… are missing the forrest for the trees. Red Rose Rescue outreach is the ULTIMATE sacrificial act of peaceful non-compliance to government sanctioned, government sponsored, and government FUNDED mass murder of pre-born children. These Red Rose warriors for Christ do not arm themselves with weapons of hate and violence to confront the violence of abortion. They are RADICALLY countercultural, they storm the gates of hell with weapons of sacrificial LOVE willing to face an un-just arrest and they arm themselves with Red Roses. Once inside, these pro-lifers quietly speak with mothers and others seated in the waiting rooms and offer them red roses as a symbol of life. 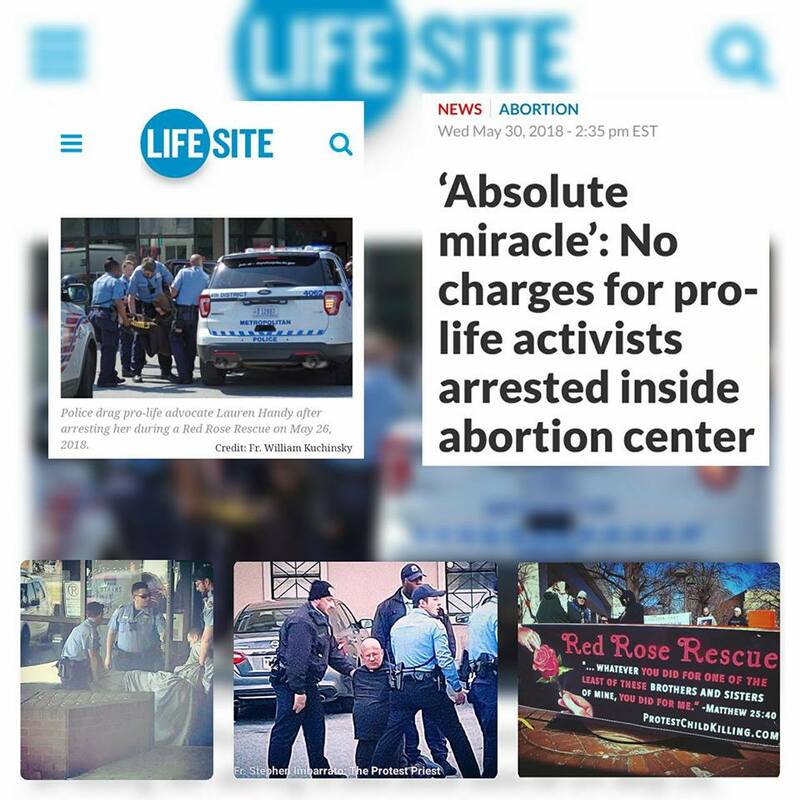 In addition to reaching out to the mothers, rescuers choose to remain in the facility as an act of solidarity with the unborn children scheduled to be killed by abortionists” said Imbarrato, of Priests for Life and has been previously arrested in Red Rose Rescues. These peaceful Red Rose Rescue efforts have exposed the hypocrisy dominating our modern mainstream media driven culture that allows anti-gun activists to storm grocery stores nationwide in a Publix Die In which was a highly publicized and an applauded act of civil disobedience. WHY are Red Rose Rescuers being arrested, when teenagers lying in the middle of aisles at Publix Die In are not? However, an amazing breakthrough occurred over Memorial Day weekend when 4 rescuers were arrested on Saturday May 26, 2018. ALL of the CHARGES against ALL of the Red Rose Rescue participants were DROPPED! The pro-lifers, namely Father Fidelis Moscinski of the Franciscan Friars of the Renewal, 26-year-old Lauren Handy, Adele Gillhooly and Baby Jane Doe (pro-lifer who will remain anonymous in jail in solidarity with the nameless, unwanted unborn–as of right now she is still in jail) talked to the mother’s scheduled for abortion, handed out literature, and offered red roses to everyone. A few women did take the roses and the literature, and indeed one woman named Esperanza left the clinic after Baby Jane Doe counseled her. Esperanza came down into the parking lot and was counseled again by sidewalk counselor and Red Rose Rescue supporter Bonnie Borel. A boyfriend and girlfriend who tried to enter the clinic were given a rose by Fr. Fidelis and they also left. Amazingly– [charges and indeed the trespass citations] were dropped against all three RR Rescuers. A police officer explained the dropped charges this way: Last week a man who was in possession of an illegal hand gun used the gun to shoot a dog who was mauling a child, thus saving the child from serious injury, even death. Under the circumstances the police opted not to charge the man with the illegal hand gun possession. Apparently the DC officers, and possibly with the cooperation of the district attorney, sees the Red Rose Rescuers in the same light. In other words, technically they many be in violation of the law, but they were attempting to save lives and so may not be charged with any crime–and [all of the] rescuers’ charges have been dropped. Such a disposition on the part of law enforcement in a pro-life rescue situation is unprecedented. THESE BREAKING DEVELOPMENTS have REVEALED THE KEY TO RED ROSE RESCUE SACRIFICIAL EFFORTS: FULL NON-COMPLIANCE TO THE CORRUPT, IMMORAL, CHILD KILLING, TAX FUNDED SYSTEM. 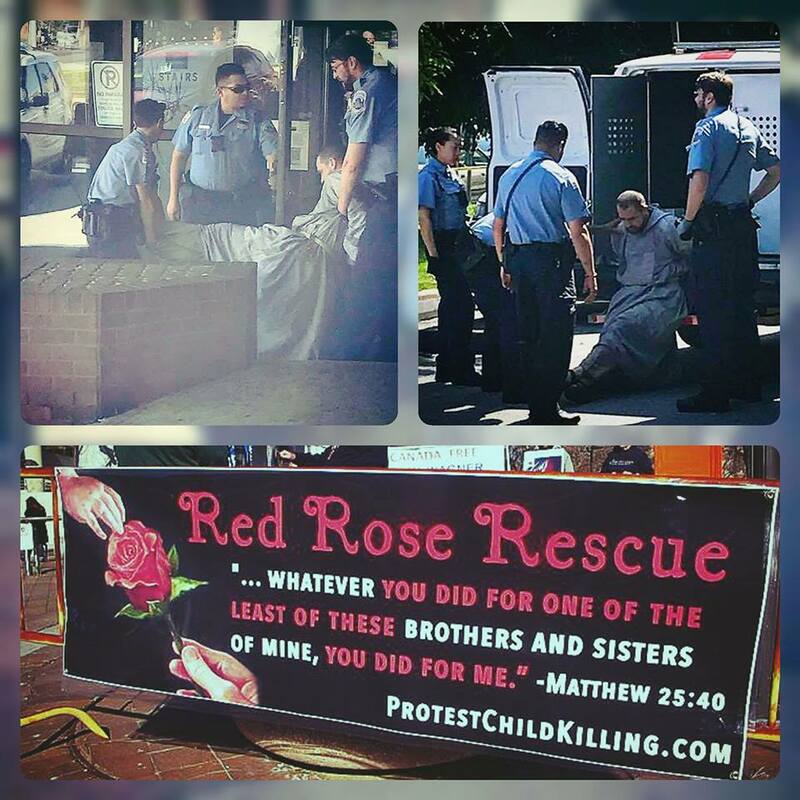 “While not everyone is able to participate in Red Rose Rescues, those who are laying down their lives for the babies deserve our prayers and respect. 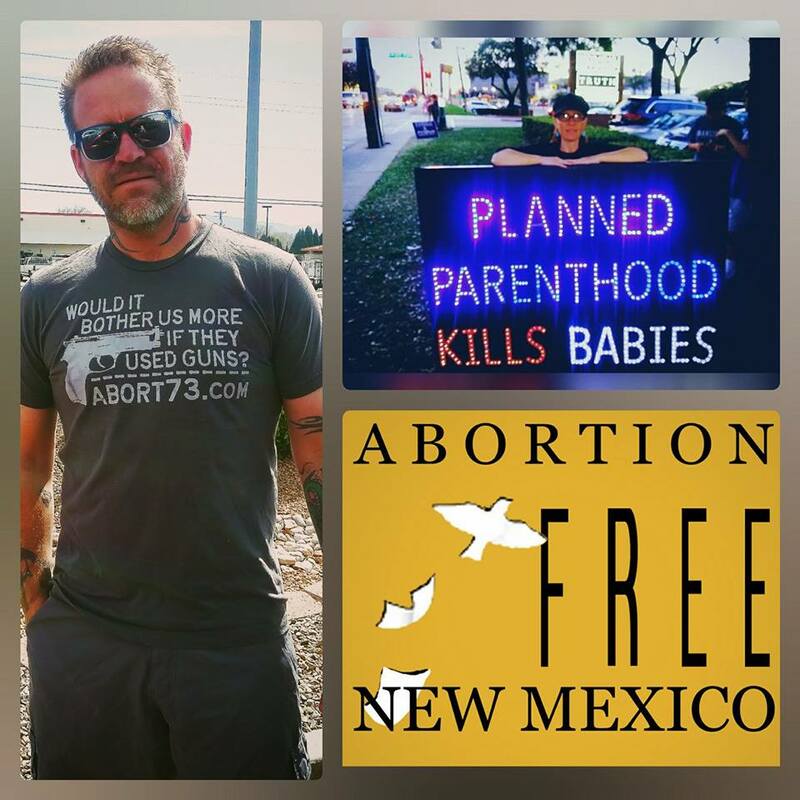 There is a place for everyone in the pro-life movement, let’s all work together to end the scourge of abortion in our nation and lift each other up in this battle for LIFE,” stated Tara Shaver, Spokeswoman for Abortion Free New Mexico. In addition to organizing and participating FULLY in the Red Rose Rescue efforts nationwide, Fr. Stephen Imbarrato also has a decisive strategy to END abortion called the Personhood Proclamation. The Red Rose Rescues are modelled after the actions of Canadian Mary Wagner, who has spent nearly five years in jail for her peaceful attempts to save women and children from the violence of abortion. Wagner, currently not in jail, has a trial July 12 for similar rescue efforts in Toronto. THANKFULLY HIS RADICAL LEFTIST IDEOLOGY DID NOT RESONATE WITH THE BROADER ELECTORATE IN NEW MEXICO! When Pat Davis was running for Albuquerque city council we said that as a city councilor Davis would not bring REAL progress to Albuquerque and we were RIGHT! He partnered with faux-republican Mayor Berry to foist the ART project upon Albuquerque that has devastated local businesses. Davis is also responsible for expanding marijuana drug use in Albuquerque one of the poorest and most violent cities in America among other efforts to further push his liberal progressive agenda. We said that his radical leftist ideals have no place in Albuquerque, and thankfully, even the democrats in congressional district 1 agreed as he sought to climb the political ladder to congress. ARE THE CHICKENS FINALLY GOING TO COME HOME TO ROOST? 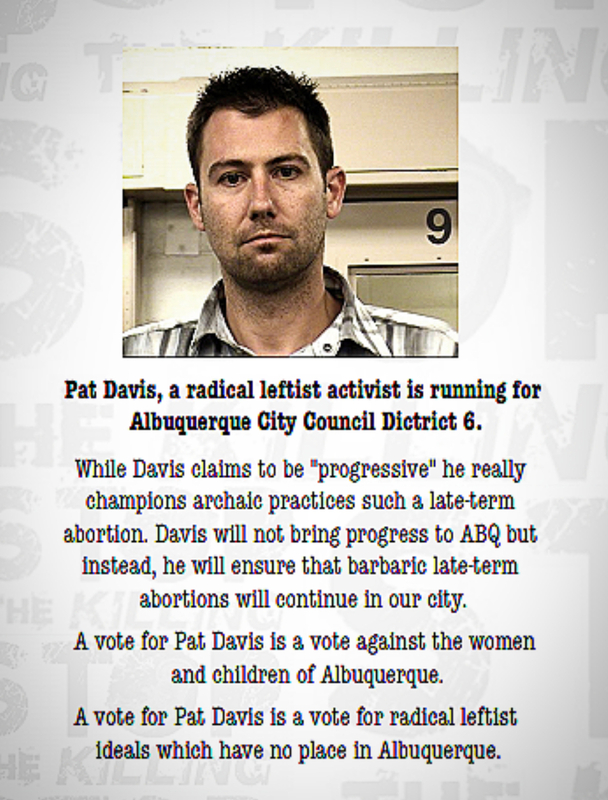 Is City Councilor Pat Davis and Progress Now New Mexico Responsible for ABQ Riot? Full report from 2016: Is City Councilor Pat Davis and Progress Now New Mexico Responsible for ABQ Riot? In an Albuquerque Journal article about our pro-life outreach efforts over the years, Davis projected what he himself did during his congressional bid for congress onto us back in 2016. HEY PAT ISN’T THAT LIKE THE POT CALLING THE KETTLE BLACK or something…? 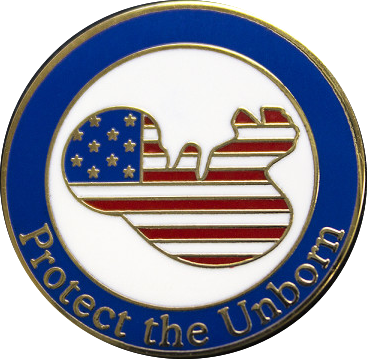 Our peaceful tactics have only exposed the EXTREME reality that babies are being killed by the violence of abortion. We don’t try to call attention to ourselves, we are trying to call attention to the fact that our tax dollars are subsidizing THE MASS MURDER OF PRE-BORN CHILDREN! 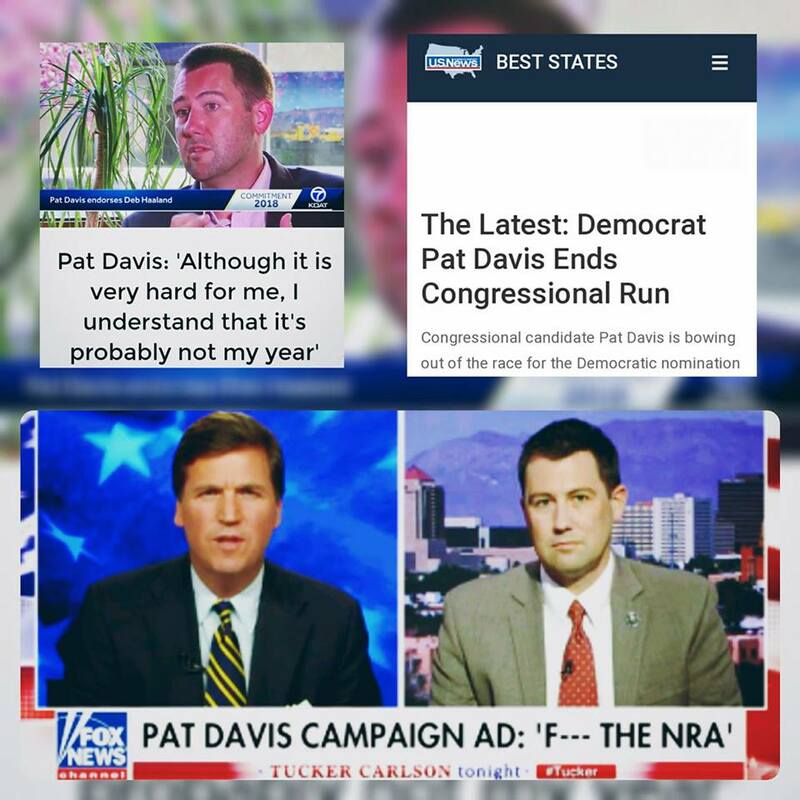 After ineffectively attempting to boost his failing congressional campaign by stirring the pot with vulgarity instead of a valid campaign platform, Pat Davis announced that he has ENDED his congressional campaign. Summer is almost here, are you planning a move or do you know someone who is? Now, at no cost, you can work with Realtors who share your values & in doing so you will help support Pro-Life Missionaries to the Late-Term Abortion Capital of America!